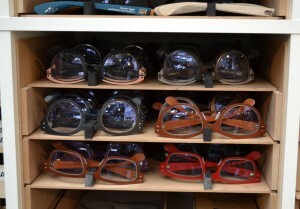 Award winning eyewear is here! 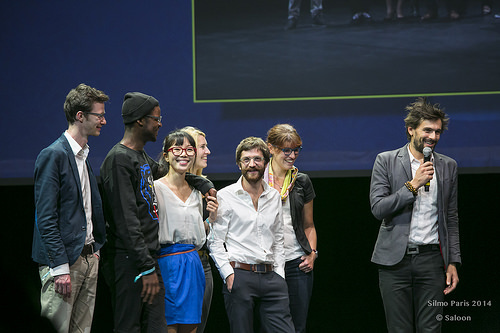 Silmo Ceremony where Lucas de Staël won the Silmo d’Or for the Best Optical frame. There’s something about a repeat winner. Think Serena Williams, Tom Hanks, Peyton Manning, Lebron James, Meryl Streep. You can rely on such people to give you an amazing performance again and again. 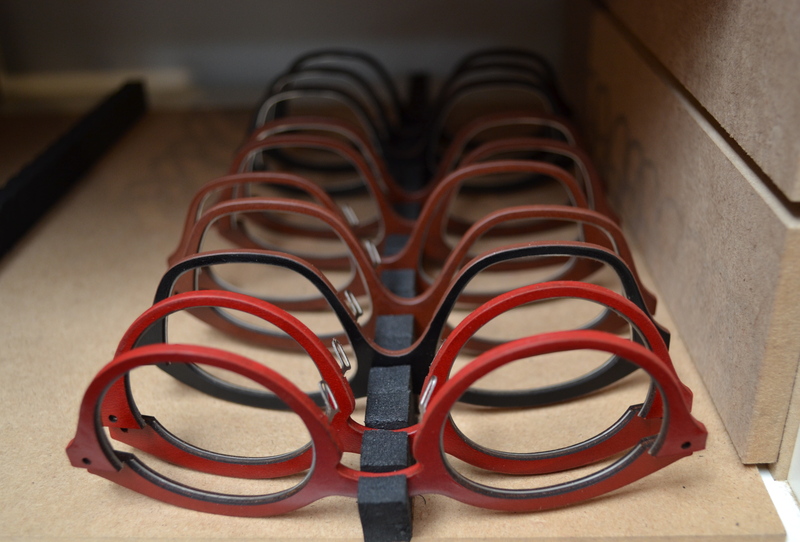 In the world of eyewear, Lucas de Staël has become a repeat winner, as he walks away once again with best ophthalmic frame design award from this year’s Silmo d’Or – the eyewear version of the Academy Awards. For a run-down of his previous Silmo award, see our blog posting of Oct. 17, 2012. We’re proud to say that we’ve been working with De Staël for a long time. First, he brought us his innovative Undostill and Suprematic lines, which revolutionized the industry by creating frames from a single piece of steel with no hinges. His next adventure was to craft frames of out of leather, including his Minotaure line, made of cow skin, and separate collection made of goat-skin, which he dubbed “Monsieur Seguin”. 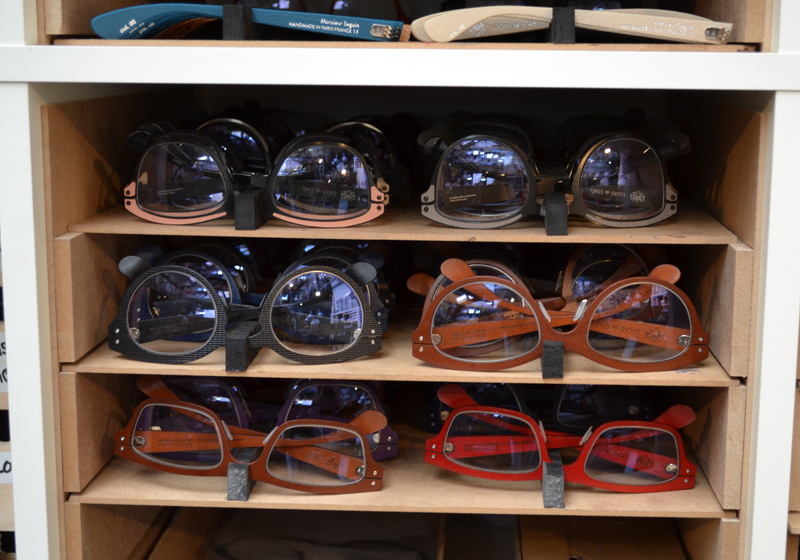 The frames have hinged temples and high calibre stainless steel between layers of leather for durability. But don’t think boring leather shades like in shoe wear. Think attention-getting mod colors. 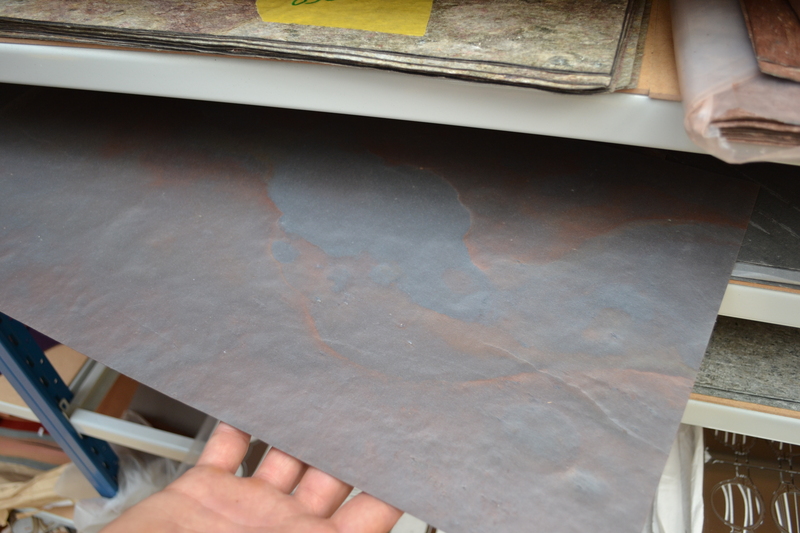 Production of Minotaure cow-leather line at Lucas de Staël studio in Paris. 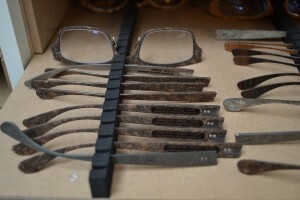 His latest innovation is eyewear made of genuine stone like granite, slate and pearl schist. He has two lines using thin stone cuts, “Stratus” and “Petrus”. “Stratus” uses a combination of stone, steel and leather. 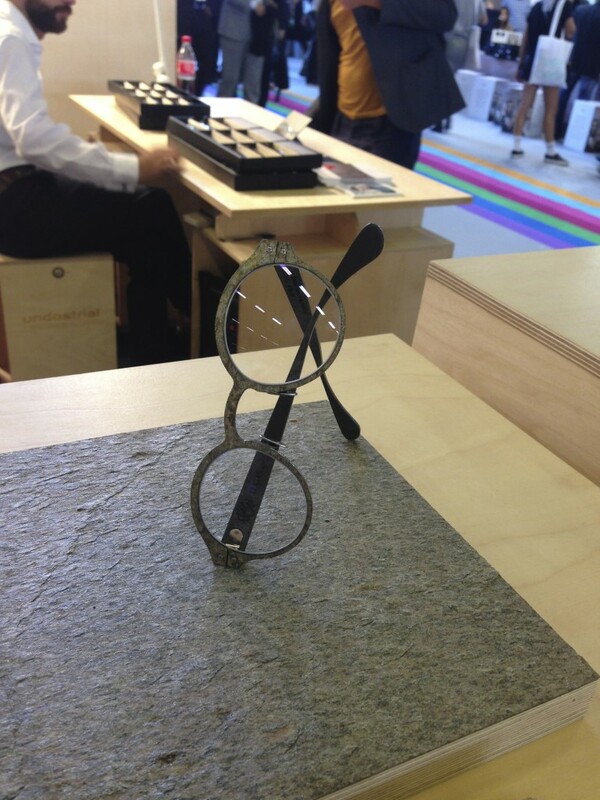 “Pertus” frames have a stone front and stone temples. The the material is so thin that it actually bends. Again, de Staël used a metal skeleton to provide support while minimizing weight. Fascinated by this unparalleled ingenuity, we visited de Staël’s studio-factory in Paris to see the manufacturing process for ourselves. 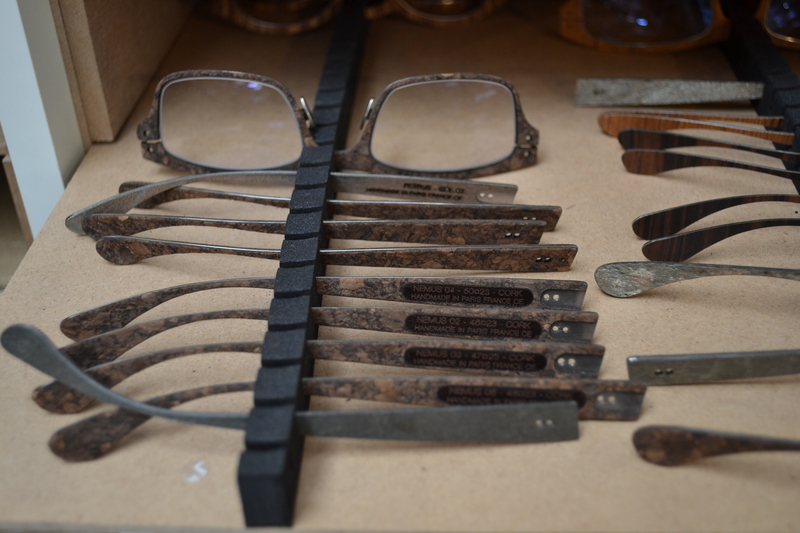 The site is as innovative as the eyewear it produces. The two-story glass building nestled between two typical city buildings is light, spacious and well-organized. Inside are machinery and tools created by de Staël and his team. They have to create their own because no other technology can manipulate the natural frame materials in this unique way or produce such meticulous results. For example, the layers of the frame have to line up with a minuscule 0.05 mm tolerance. 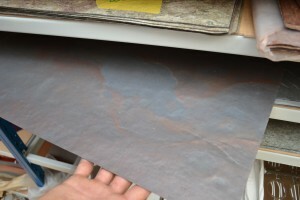 Sheet of slate for “Petrus” line gives matté finish to the frame. Since 2016 Undostrial line is available in asian, also known as universal fit.